July 12, 2018 -- Dentists have done a great job of advancing the technology in their practice by offering cutting-edge procedures and modalities, but what about the waiting room? It's easy to forget that your waiting room is the first impression patients get about your practice. A waiting room can either reduce or increase patients' anxiety about their impending trip to the operatory. In my experience, many doctors focus on delivering superb services and often overlook the holistic experience of the entire practice. The truth is that patients sometimes spend more time in the waiting room than in the dentist chair. And if a patient has any kind of dental anxiety, it may climb in the waiting room. Matt Gibbs is the co-founder and chief marketing officer at UPshow. Waiting rooms provide an opportunity to engage, educate, and market to patients. Practices need to look at extending back-office technology to the front. An easy and affordable way is to give the waiting room a digital makeover. If they aren't plugged in, patients may plug out. That's not a good thing. A dead battery can make wait times seem longer. The same goes for not being able to access mobile data. Providers can offer perks such as free Wi-Fi with clear log-in details. Offices can also make power outlets easily accessible or offer a branded charging station. Various companies provide a service to make it easy and affordable to offer this convenience to your patients. Useful for updating records, filling out new patient forms, and checking in, these tools may also handle co-pays. Dentists can try kiosks where patients can check in for their appointment in less than a minute, or mobile options enable patients to check in from their phone before arriving. Both options help support the reception function, ease patient waiting, and maximize privacy. A lot of practices have televisions, but it doesn't give anything back. It's static, not personalized, and doesn't provide an opportunity for marketing. Some practices rely too heavily on educational shows; this content may bore some patients, and regular TV channels end up not pleasing someone. Plus, the cost of cable adds up. A social TV platform is another option. Patients can view social media-powered content feeds from topics they are interested in. Digital magazines are another option that better represent your practice than a pile of tattered and out-of-date subscriptions. These can be made available via tablets, which can also be preloaded with games and other entertainment options. Busy parents will love that they have options to engage bored kids. Dentists are already taking advantage of new technology to improve their practice, but it usually isn't something patients experience until they get into the operatory. Practitioners can extend this advantage to the waiting rooms, which will also build a better overall patient experience and improve a practice's marketing. 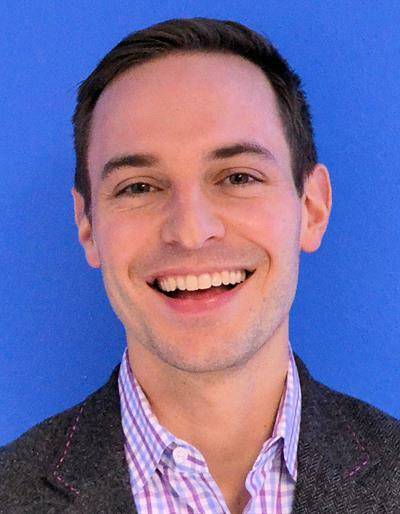 Matt Gibbs is the co-founder and chief marketing officer at UPshow, a social TV platform.